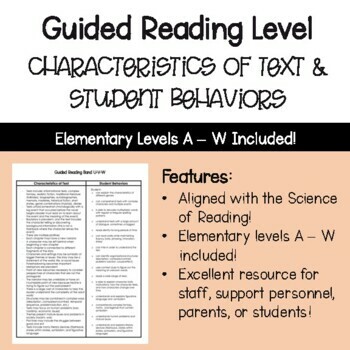 This resource explains the level characteristics and student reading behaviors at each of the elementary Guided Reading Levels (a-w). Characteristics and behaviors were adapted from F & P and TCRWP. 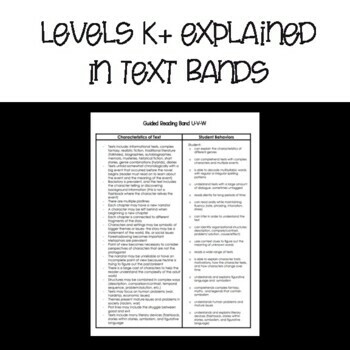 Levels A - J are explained individually and levels K + are explained in text bands. 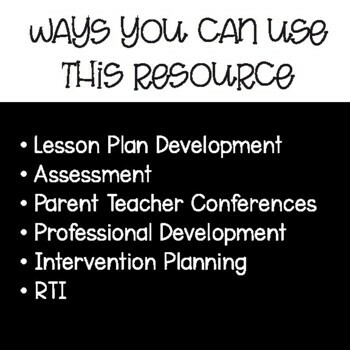 This resource is great for parent/teacher conferences, conferring with students, or used as a checklist to track student data.